Level hub in Super Mario World for SNES. Level hubs are bad. Well, they’re usually bad anyways. If there’s no compelling reason for one to exist, it shouldn’t exist. Level hubs are the worlds you explore to find the actual levels. In a level, you have fun, progress the story and game, are taught new mechanics, and are tested on those mechanics. In the hub, you look for a level. Why? Menus work better than explorable hubs. The Mario series has an interesting history with hubs. At first, there was no level hub at all. Finishing one level sent you on your way to the next. Super Mario Bros. 3 let you pick your level from the hub. You didn’t really explore. You couldn’t jump. You weren’t really in control of Mario, but you could pick your next level. There were multiple paths of levels, and sometimes things could block your path. Because you’d need to see the paths between levels and try to get to (or away from) the enemies blocking you, the level hub was important. Super Mario World was similar; it had multiple paths you could take. Levels that had multiple exits that would lead to different levels were clearly marked on the map. The hub also organized the levels and provided context. Again, the map had a purpose. Importantly, these hubs were not difficult to navigate and didn’t add a significant amount of time between levels. Super Mario 64 changed all that. Peach’s castle was the level hub, and in it you controlled Mario the same way you would in any level. Certain paintings in the castle allowed you to enter levels through them. 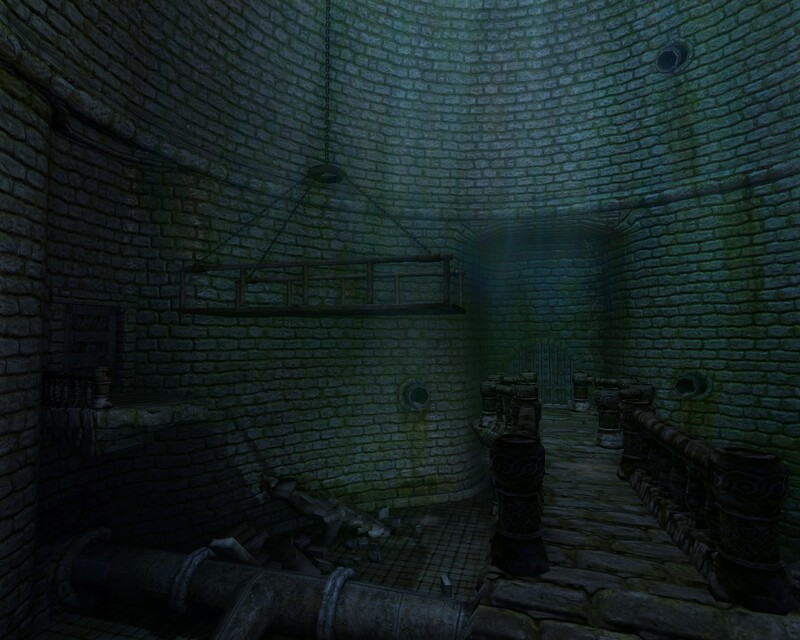 In this way, the game rewarded (and required) exploration of the castle. Was this good? I loved Super Mario 64 when it came out, and I’m still quite fond of it. It’s hard to decide whether this was a bad decision. There are a few things that Nintendo did to keep the hub from being terrible. First, the game mechanics functioned the same way. If you enjoyed controlling Mario in a level, at least you could potentially get the same enjoyment out of the hub. I enjoyed controlling Mario and remember playing in the castle itself. Second, most levels weren’t hidden. You could clearly see where a level was based on the doors, and the doors were even marked, letting you know how many stars you needed to unlock it. 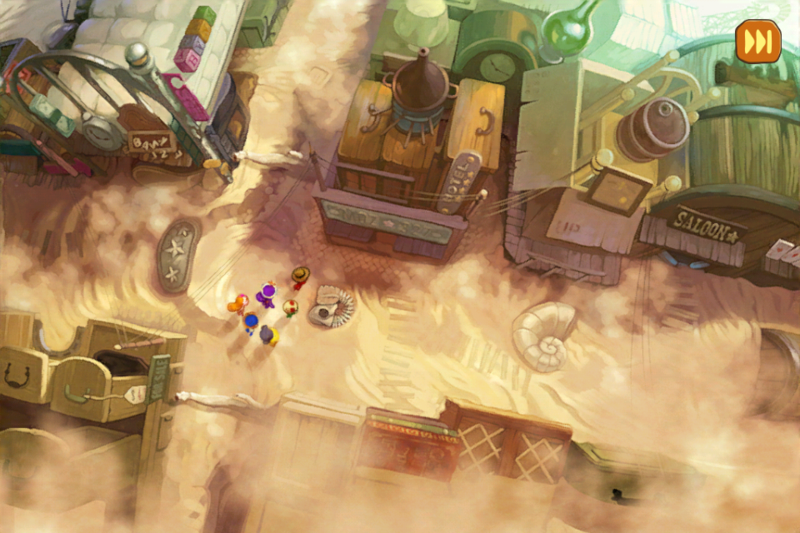 Third, after obtaining a star, Mario would come back out of the painting, standing right in front of it. This is great because the majority of the time you need to go right back into the same painting for another star. Of course, that also emphasizes a problem. If I’m usually going to jump right back into the painting, why even take me out of it in the first place? I’m going to go ahead and declare the hub bad. My best guess is that at the time it was new and interesting to have an explorable hub world, and it made Mario’s adventure seem grand. We were still at a time where all video game urban legends weren’t immediately debunked by the Internet, which made the hub feel like a mysterious place worth exploring. 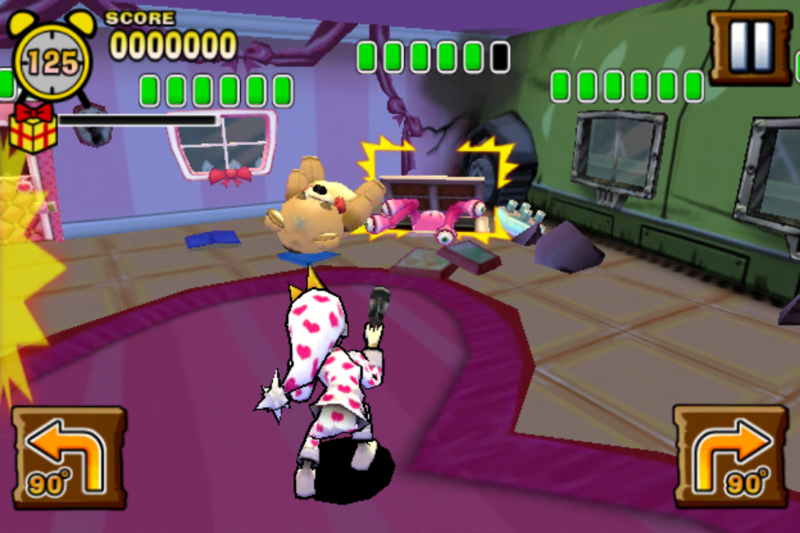 We were also new to 3D platformers; the hub gave gamers a chance to get used to controlling Mario, and the developers must not have thought of making the courtyard a one-time introductory level. Hindsight is 20-20. The hub is bad. Nintendo thought we still needed hubs in Super Mario Galaxy. It’s practically amazing how terrible the hub is in that game. Not only was it a waste of time when what you really wanted to do was get to a level, but it was also confusing and hard to navigate. Things got a lot better in Super Mario Galaxy 2. The level select screen is very close to that of Super Mario Bros. 3. 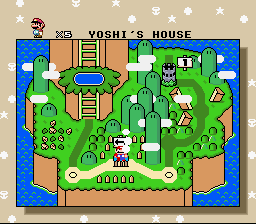 It has multiple worlds consisting of different levels, this time called galaxies, and a star select screen after that like the one found in Super Mario 64 or the first Galaxy. However, it seemed Nintendo couldn’t shake the terrible idea all the way. Perhaps young gamers like a non-threatening place to play as Mario. I don’t really believe that to be a worthy reason, but I can only assume that Nintendo has some sort of logic, however flawed. Whatever the reason, there is still a spaceship that Mario uses. After beating a level, Mario once again appears on his ship. What is there to do on the ship? There are plenty of NPCs with whom to speak, but there is little incentive to do so. Yes, there are times where there’s a reward, but this could be awarded to the player in a better way (such as the mini-game at the end of levels in Super Mario Bros. 3). In actuality, every time I get back to Mario’s ship, I run forward for a second to jump onto the button that brings up the level select map. Why put me on the boring spaceship hub if what I want to do every time is get back to playing Mario? And no Nintendo, that’s not an invitation to put more crap on the spaceship next time. It’s a request that you list what we want to do in your game and take out everything that isn’t on that list. Putting me back on the ship just to make me jump on the button is pretty similar to putting me in front of a painting just to make me jump back into it. 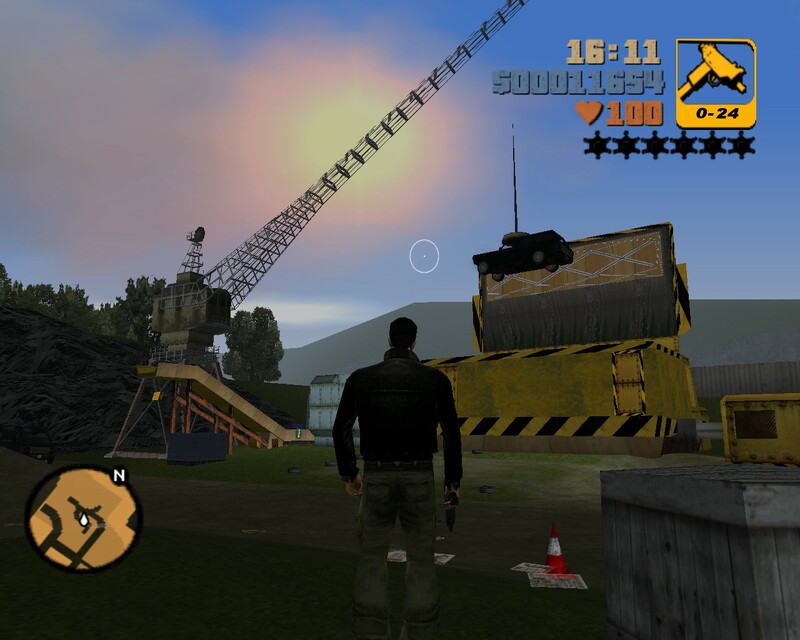 Blue mission marker in Grand Theft Auto III for Steam. How about open-world games? 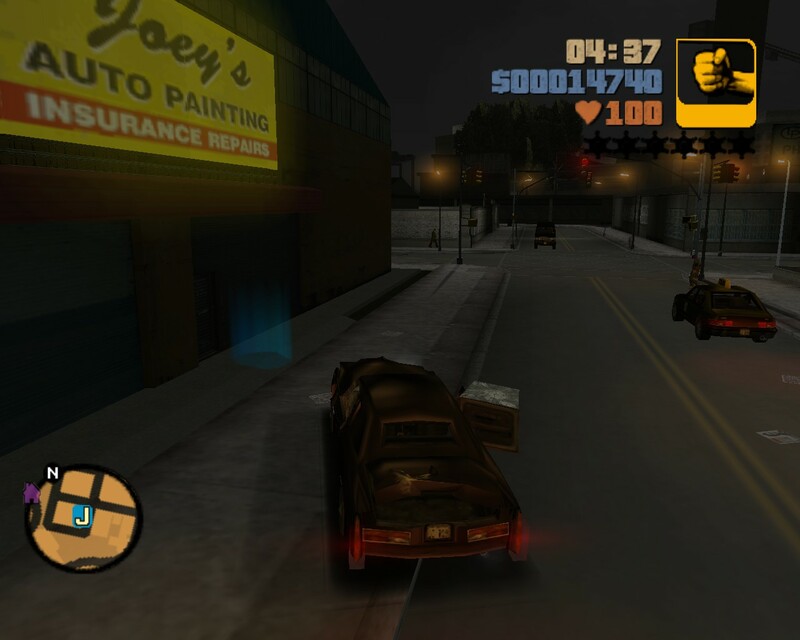 Well, Grand Theft Auto does it very well, but it’s not really the same. Finding missions take place in a city that, for now, let’s call the hub. The missions take place in the exact same city. It’s seamless. Because the levels exist as part of the hub, I wouldn’t really call it a hub. There are fun things to do in the city, making it a part of the game proper. Of course, you can skip the city a bit and take a taxi to any mission on your map. And how do you pick your destination? With a menu. Infamous and Infamous 2’s cities are much like GTA’s. 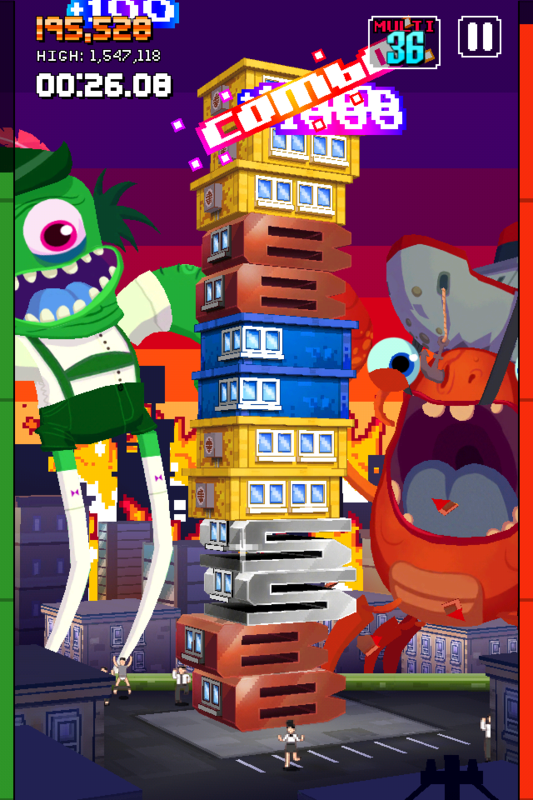 They contain levels, which make them like hubs, but they’re alive and fun. No More Heroes looks similar but is actually very different. There’s a city in which you can drive, but none of the actual game takes place in the city. This makes NMH’s city a hub, and a terrible one at that. Whether this was good design or not is debatable because Suda 51 has made the argument that this was a critique of open-world games. If he’s critiquing Grand Theft Auto though, then my previous statements about GTA would stand as my counter-argument. 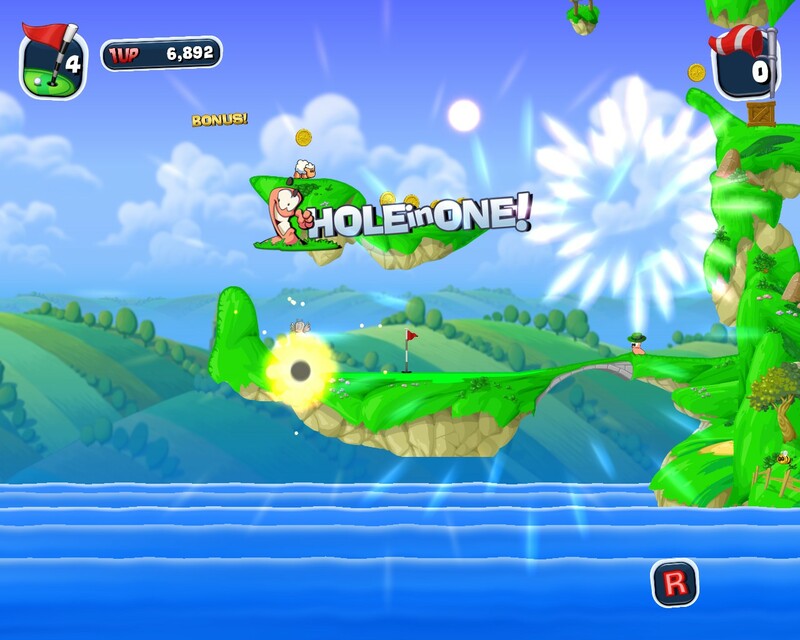 Level select in Cut the Rope for iPhone. 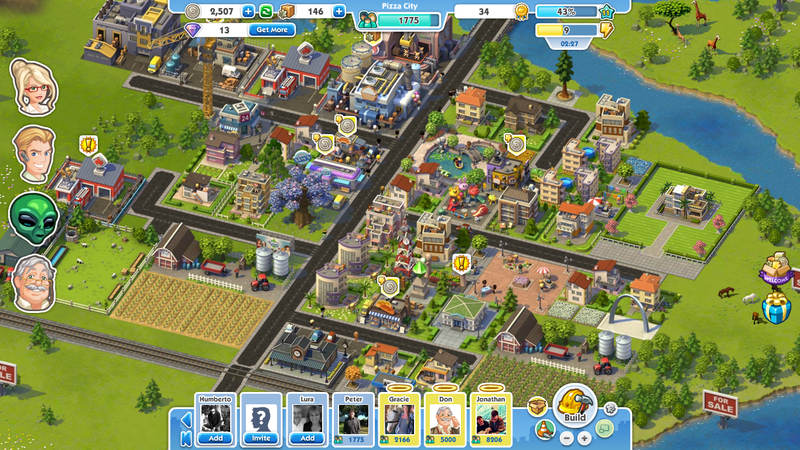 Many iPhone games use a grid to represent levels. 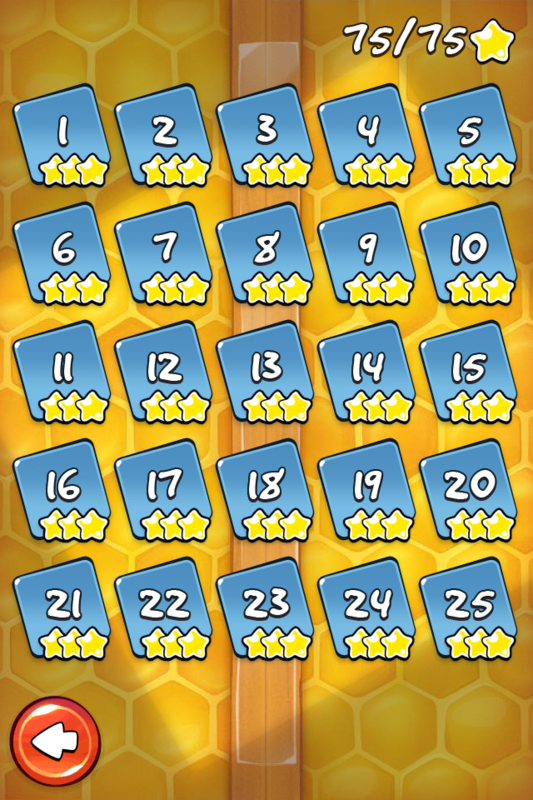 Level select screens have multiple pages, and each page has a grid of levels that each have three objectives or stars. Of course, far less than every game use this system, but I see a level select screen similar to this often enough to feel it’s work mentioning. This isn’t a hub, and this is close to what I’m advocating. However, you can’t deny that this looks very dry. In fact, I say we look once again at Nintendo. Quite often they get it exactly right. They don’t use multiple pages; they use multiple worlds, such as the different islands in Super Mario World. Instead of stars representing levels, arranged in a grid, Super Mario World featured dots set up to reflect the world they represented. You could maneuver through the hub quickly and effectively, yet it still conveyed the idea behind that set of levels. It looked fun, but most importantly, let you get back to the actual fun quickly. There can be reasons to include a hub or world map, but it needs to be done properly. It should be unobtrusive and add to the game. Thank you, Super Mario World, for getting it right. My girlfriend once told me about a game she loved from the NES, River City Ransom; she told me you ran around beating people up, but that it also had RPG elements in which your characters got more powerful. She enjoyed buying sushi and visiting saunas in the game. I had to try it out. for the fight of your lives! Yes, that’s the introduction to the game. I don’t know what I would have thought of it if I was an adult when the game was released, but now I love it. Here’s a game that knows it’s a game. Could I survive SLICK’s gangs, defeat his bosses, and rescue Ryan’s girlfriend? I had to find out. Once the game actually starts, the amazing music begins. You can hear this starting at 0:25 in the video. The bit at 0:35 is so fun! Starting at Cross Town High School, I began to explore the world, beating up anyone who dared approach me. Were the men who ran up to me working for Slick? Were they partly responsible for kidnapping Ryan’s girlfriend? I didn’t care. I didn’t question. I punched. As an enemy ran up to me, I began to pound him in his face until he fell. What a rewarding word to read. Controls were simple. I was punching and kicking. I was picking things up, attacking with them or throwing them. I was jumping on walls and fences and running across them. And I did it all smoothly and easily with just two buttons. Perhaps one of the most fun discoveries was realizing that a fallen enemy was also a weapon. After defeating an enemy, I was treated to a bouncing coin, increasing my total money. At the start, I didn’t know the purpose of the currency. After a couple screens I came across the first mall. I was presented with a variety of stores and purchasable goods – coffee, bagels, sushi, books, and more. Books taught different techniques, but what was engrossing was the delicious, delicious food. A little of this and I increase my punching ability. A little of that and I’m more agile. A little of this and… I regain health or increase my maximum health or something. (I later realized that how much my maximum health increased was partly tied to how depleted my current health was.) I was more than happy to go through trial and error to understand the economy. Different enemy types drop varying amount of money, and these can be used on the items in the malls. Eating items increases your stats, although I couldn’t find out which or by how much until I tried them. I could see this being annoying if money was scarce, but there were plenty of gangs of students and evil bosses to mug. 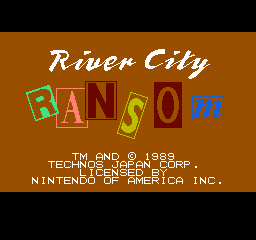 While River City Ransom looked fairly linear, I found it to be very open. I ran from area to area defeating such gangs as the Generic Dudes, the Jocks, the Frat Guys, and more. The bottom of the screen flashed. “BARF!” “Wham!” “Mamaaa!” Occasionally a bit of helpful text pointed me in the right direction, but I mostly encountered comical one-liners. These little snips of dialogue combined with the malls and shops to fully engross me. There was plenty to discover, including Merlin’s Mystery Shop, a secret shop hidden in a tunnel. Somehow this Merlin fellow managed to collect such powerful items as Excaliber and Zeus’ Wand. Did you know Zeus used a wand? I didn’t. In the end, I reached Slick, who turned out to go by the name of Simon. was the end of evil Simon! Clearly the problems of Ryan’s girlfriend being held hostage and the city being full of gangs of students had been solved. Nothing turns around gangs of students like a good whoopin’, and now River City High School and Cross Town High School must have much higher average GPAs and college admissions! Truly, I solved not only my problems, but I improved education as whole in our great nation! In Japan, River City Ransom was part of the Kunio-kun series, which also includes Renegade, Super Dodge Ball, and Crash ‘n the Boys: Street Challenge. I’ve tried Renegade, but it lacks the comedy, exploration, and food of River City Ransom, causing me to put it down shortly after starting. I’ve yet to try any of the other games in the series. There was a Game Boy Advance port, River City Ransom EX, that I enjoyed, adding more customization but removing the multiplayer. (I recommend the original NES version.) A sequel was announced for the Wii and PC, due out in 2011 or 2012, but I couldn’t find any additional information on it. River City Ransom inspired more than just me. Scott Pilgrim makes heavy references to the game. Besides coins exploding out of defeated enemies and similar boss names and placement, “BARF!” is a bit of dialogue the two universes have in common. Scott Pilgrim vs. the World: The Game feels very heavily inspired by River City Ransom. There’s even a secret shop full of incredibly expensive items placed like Merlin’s Mystery Shop. One of the other Kunio-kun games, Crash ‘n the Boys: Street Challenge, is obviously referenced by the band Crash and the Boys in the books and movie. As I said earlier, I started playing River City Ransom the night before I was planning on waking early to go to Disneyland. I got two hours of sleep that night because I couldn’t put River City Ransom down. If you’re familiar with Disneyland, you might know that there’s a restroom at the front of Adventureland that you reach as soon as you enter from Main Street. When the rest of the group used the restroom there, I leaned on the fake rocks outside, getting a little extra time with River City Ransom on my Palm. I jokingly refer to that place as River City Rock to this day. River City Ransom: Mugging gangs of students and eating sushi. Welcome to my new blog, Polygons and Pixels! I enjoy writing and sharing my thoughts but found that my catch-all blog, WebPageless, covered a spectrum that was too wide. After creating Kor’kron 501st for covering World of Warcraft (and other online RPGs), I found that I really enjoyed having a dedicated blog. I also cover iPhone and Android games (and sometimes PC games) for Game Boyz; however, I don’t have full control there. The reviews follow a formula and must include point values. That’s not always for me. Thus, Polygons and Pixels was created. Really, it comes down to one simple fact. I wrote a piece about River City Ransom, and I needed somewhere to put it. Expect it on Polygons and Pixels soon.